Tonight was the last meeting of the Tredyffrin Township Board of Supervisors for 2018 and the public was met with a pronouncement by solicitor Vince Donahue. He announced that at 4:45 PM TODAY, Catalyst Outdoor Advertising filed two applications with the township – the first application to make the current small billboard at the intersection of Lancaster Ave and Rt. 252 a digital billboard and the second application to DEMOLISH the Clockworks building! No amount of upset and personal appeal to the supervisors on my part was going to save the Clockworks building! 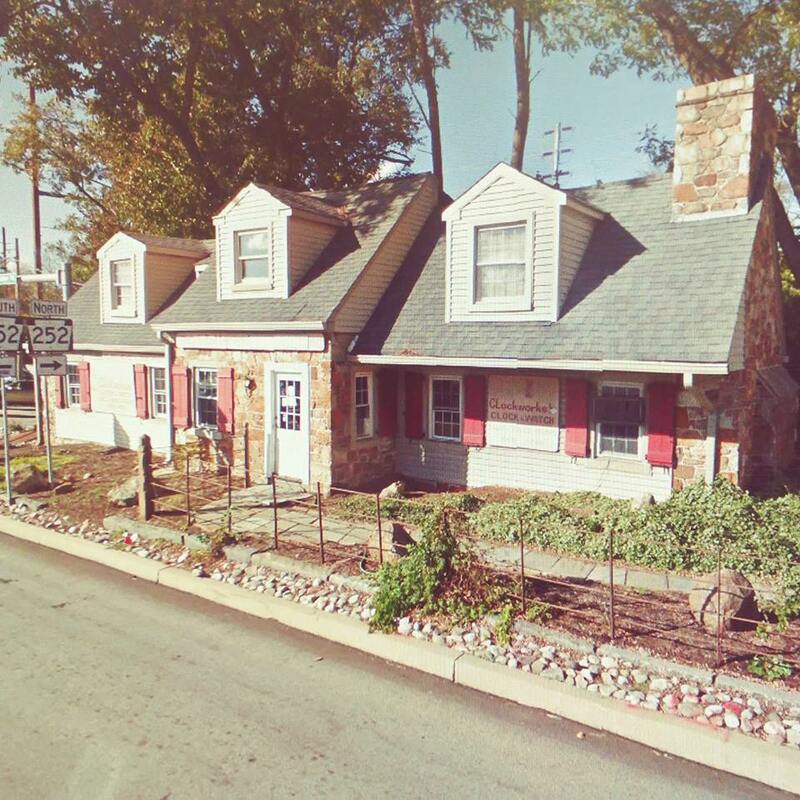 There is NO historic preservation ordinance of protection in Tredyffrin Township. 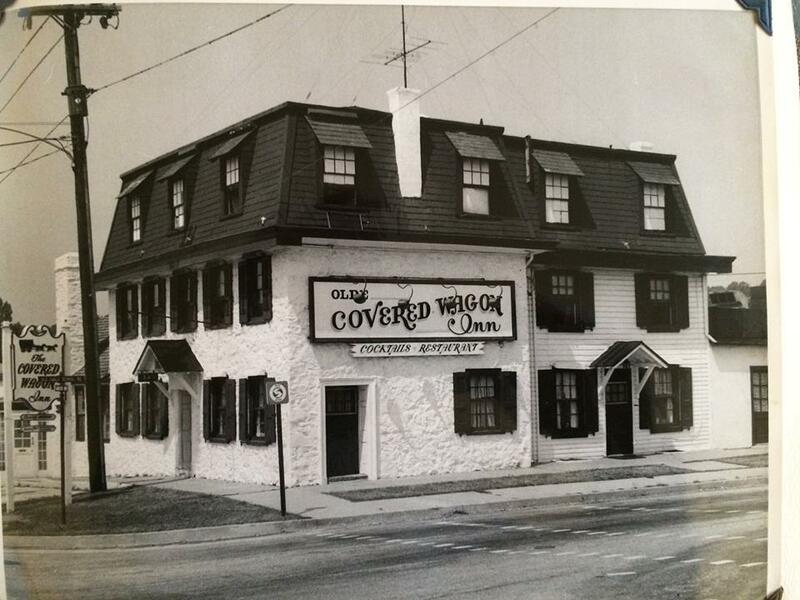 Although the Clockworks building is included in the township’s 2003 historic preservation survey, it is meaningless – we do NOT protect our historic buildings in Tredyffrin Township. The sadness over the loss of this Brognard Okie building and its memories for many of the residents, is beyond words for me. To live in an area seeped in history, and calling a 300+ year old house my home, yet we do nothing to save our old buildings. My outburst at the meeting over the news was met only with stares from the supervisors – no comment from Chair Heather Greenberg (her last meeting tonight as chair) or from any of the others. 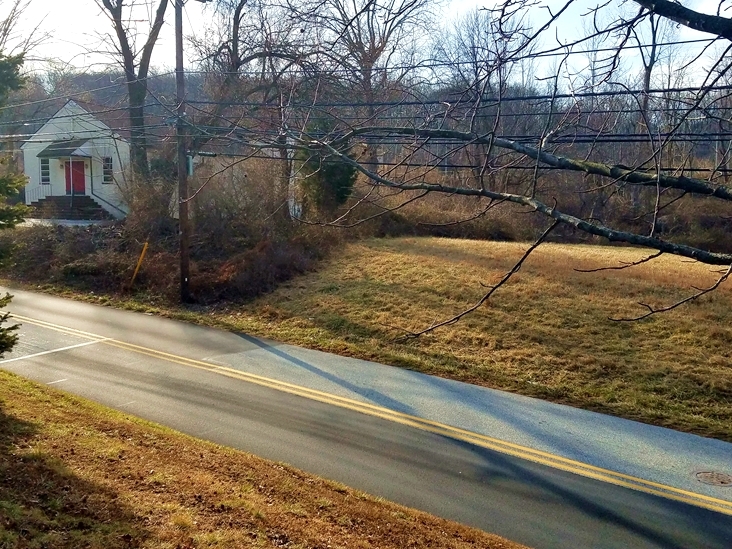 Back when the 18th century original Pugh Road farmhouse application to demolish was approved within 24 hours (and subsequently demolished), I asked the township for a waiting period for all historic properties contained in the historic resource survey. I guess the clock will start to tick on the Clockworks demolition application starting tomorrow. Apparently, the application to turn the small static billboard digital will take some legal review according to the township solicitor. To be really clear here — anyone who doesn’t think that that demolishing the Clockworks building isn’t a precursor to two large digital billboards at this site needs to reconsider their position! As I said to the supervisors tonight, this is no Merry Christmas news for Pattye Benson and the many other people in this township who care about our local history. Nearly 4,000 people signed the Change.org petition to BAN the Digital Billboard and Save the Clockworks Building in Paoli. None of it mattered — what a tremendous waste of time and effort! I’m just so sad. At the suggestion of the Tredyffrin Township Police Chief Mike Beaty, I am releasing the video of stolen BAN the Digital Billboard lawn signs from private property. To date there were 93 lawn signs stolen from private property and without any other leads, I have decided to release the video from Dec. 3 at 9:34 AM. It would be great if we could find the person responsible for the thefts and maybe that road will help us fight back against the digital billboard and (I know that it’s a long shot!) maybe help save the Clockworks building if we can find a connection. Please click on the link below — the police have sent the video out for enhancement but they were not able to find anything further than is on the video. But we’ve got many tech savvy people in the area, so maybe you will be able to help with the video clip. For example, run the video full screen and take some screen shots at the key moments, zoom in, look at the car (hoping for an ID on make/color) and the person and if you can help identify, immediately call the police and let me know. 2,300+ Change.org petition signatures, GoFundMe exceeds goal & State Rep Warren Kamp (R) & Democrat opponent Melissa Shusterman make statements opposing digital billboard in Paoli! The community’s voice of opposition over Catalyst Outdoor Advertising’s proposed digital billboard in Paoli continues to grow louder! After hearing that our Tredyffrin supervisors were considering the digital billboard proposal at the intersection of Rt. 252 and Lancaster Ave (and demolishing the historic Clockworks building) my social media campaign to inform the community went in to full motion. And based on the overwhelming response, you have to believe that the Board of Supervisor Chair Heather Greenberg and her fellow supervisors are getting the message — residents do not want the billboard or the Clockworks building destroyed in the process. The GoFundMe exceeded its initial goal of $1,000 in less than four days! As a result of the community’s generous contributions, lawn signs to “BAN Digital Billboard in Paoli & Save Historic Clockworks Building” have been designed and ordered and will arrive late next week. Based on the number of people who have asked me for a sign, a second order may be needed. Printed material will also be available starting next week. If you are interested and able to contribute, you can find the GoFundMe link by clicking here. In addition to Savvy Main Line and Main Line Neighbors recent articles about the community push-back over the digital billboard under consideration, Philadelphia Inquirer reporter Erin McCarthy called for an interview and photos were taken in front of the Clockworks building. 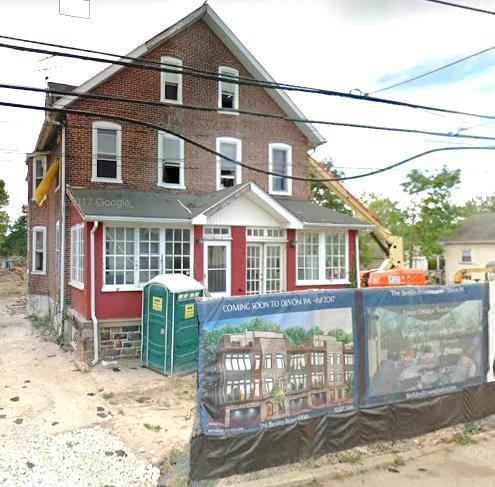 For those that remember the Covered Wagon Inn saga, it was déjà vu standing in front of another of our historic township buildings with hopes for a similar outcome! Taking the photo at 4 PM, the Inquirer photographer received an up close and personal idea of the congestion of this intersection – and that’s without the construction of a 20 ft. high digital billboard and its blinking messages! 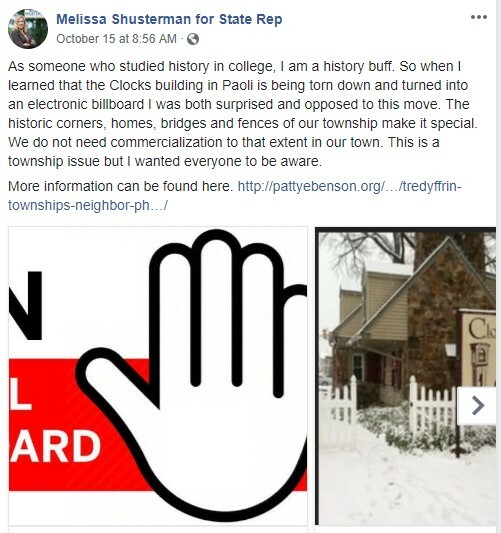 On her Facebook campaign Facebook page, PA State Representative Democrat opponent Melissa Shusterman is also clear in her opposition to the digital billboard under consideration by our township supervisors. 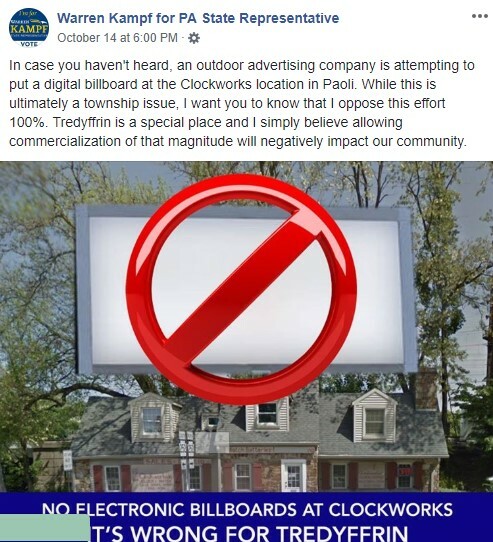 If there was any question or doubt as to where the community stands on the issue of the digital billboard and the demolition of the historic Clockworks building — Tredyffrin township supervisors should be receiving the message loud and clear! There is an important Special Election on the November 6 ballot — registered voters in Tredyffrin Township will be choosing an at-large supervisor to fill a vacated seat on the Board of Supervisors. Given the current situation with the proposed plans for a digital billboard, lack of historic preservation ordinance and transparency issues, the selection of the new supervisor is extremely important to this community! In my next blog post, I will discuss the supervisor candidates, Judy DiFilippo (R) and Mark Freed (D). and offer their responses to three timely questions which I posed. To those who have sent me emails, text or phone messages that may have gone unanswered, it has been a very busy several months. Between a family reunion, an out-of-town wedding, a first birthday party for granddaughter Audrey in Seattle and a trip to our Port Royal Island, SC house (for those that have asked, Hurricane Florence did miss our 100 yr old ‘little pink house’ in SC) in addition to the management of the Jones Log Barn rebuilding project in Chesterbrook, it’s been crazy! Squeezed in between all of the activities has been the ‘care and feeding’ of my annual historic house tour. 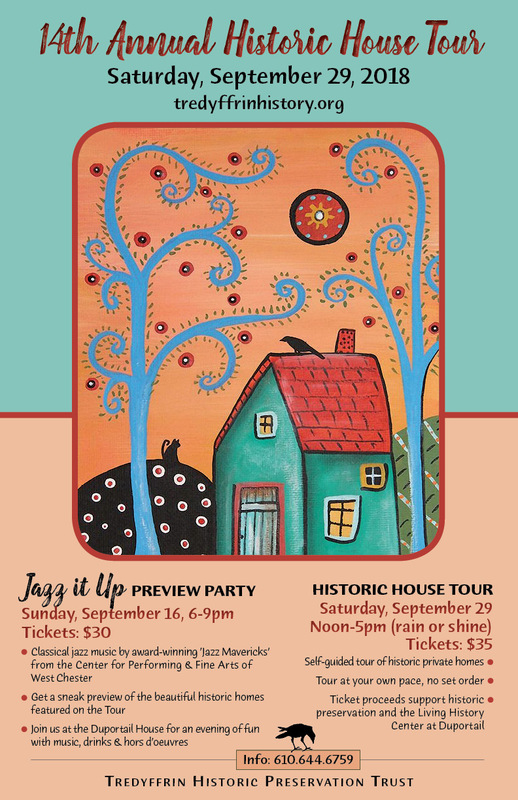 Hard to believe but the 14th Annual Historic House Tour is almost upon us — it’s next Saturday, Sept. 29, noon – 5 PM (tickets available at www.tredyffrinhistory.org) The preview party was held last Sunday at Duportail House and was a wonderful turnout of the historic homeowners, sponsors and community members. The countdown to the house tour is on — fingers-crossed, we will have perfect weather for the fourteenth year in a row! Weather gods, are you listening!? There’s much going on in the township and the school district and I have a list of issues and topics to discuss as soon as the house tour is over. 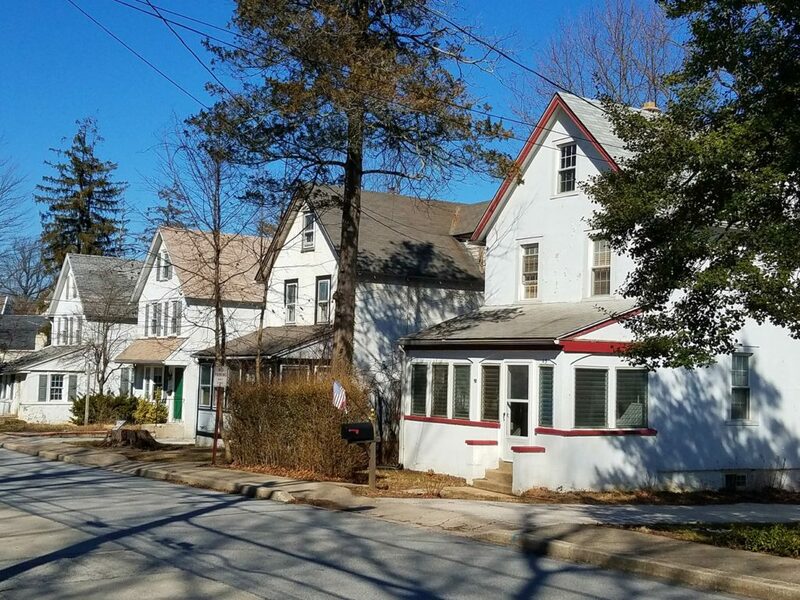 Without a historic preservation ordinance in Tredyffrin Township to protect our beautiful historic properties, the annual historic house tour is all the more important! Local history and its preservation does matter! Please purchase a house tour and join us as we celebrate historic preservation — another important reason that makes this community special. 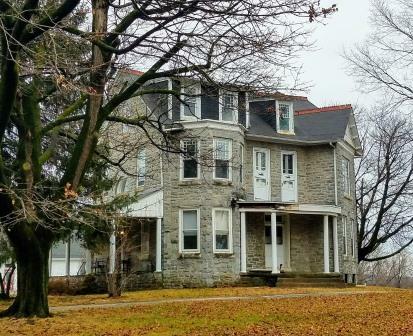 In addition to Trust Board members and other adult volunteer docents, there will be nearly 20 Conestoga High School volunteers assisting at the house tour. In addition, there will be CHS students playing the piano at Tredyffrin Library for ticket pick-up! Below is the 14th Annual Historic House Tour poster and the final list of our wonderful house tour sponsors — individuals and companies who make historic preservation a priority! As president of Tredyffrin Historic Preservation Trust and chair of the 14th Annual Historic Preservation Trust, we thank them and the generous homeowners who make the annual historic house tour possible. All proceeds from the house tour go toward the completion of the Jones Log Barn as the Living History Center. 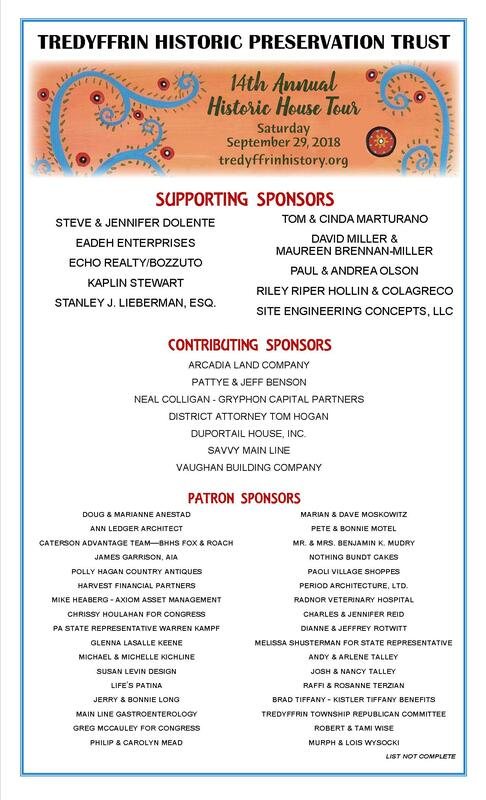 Thank you 14th Annual Historic House Tour sponsors! Tredyffrin Township’s Planning Commission agenda – townhouses, apartments, hotel and assisted living projects, Oh My! What’s on Tredyffrin Township’s Planning Commission Agenda this week … Mt. 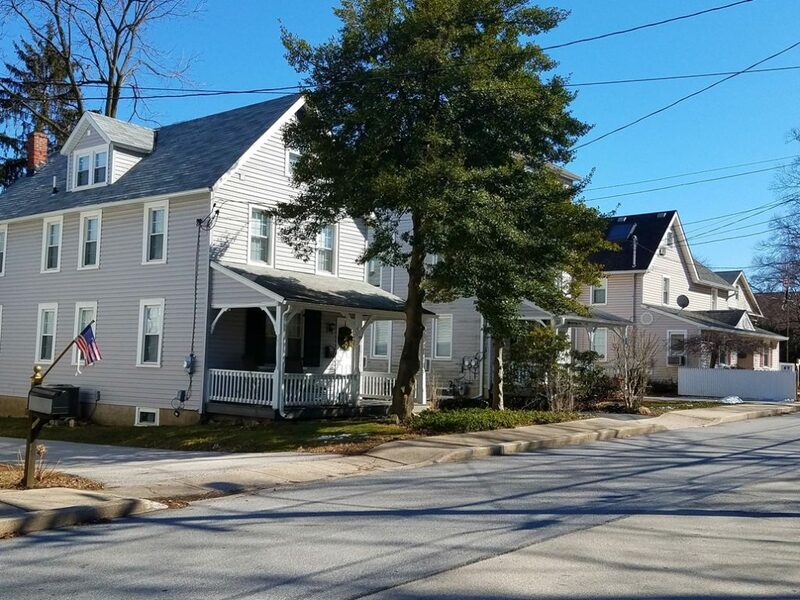 Pleasant and Devon townhouses, multi-story apartments in Paoli, single family homes in Berwyn plus a new hotel and another assisted living project. (Planning Commission meeting, Thursday, April 19, 7 PM, Township Building, click here for agenda). 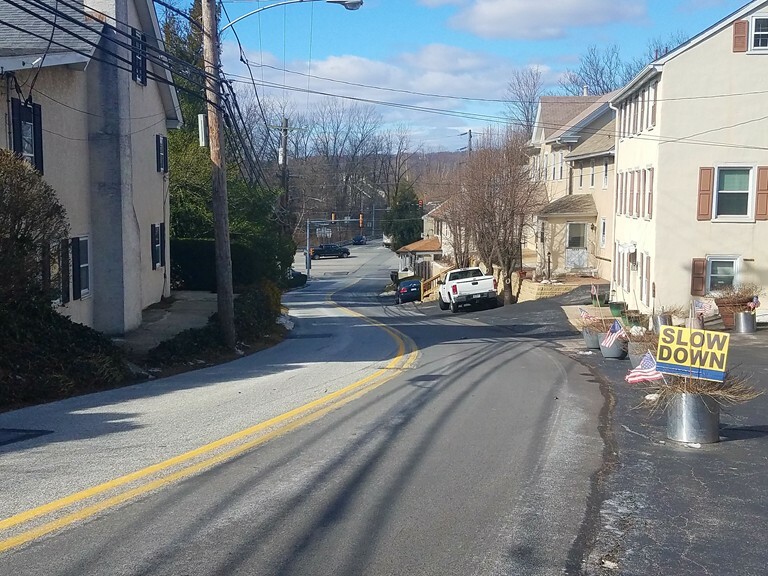 Although we have had a long cold winter with spring taking its time to arrive that hasn’t slowed construction plans in Tredyffrin. 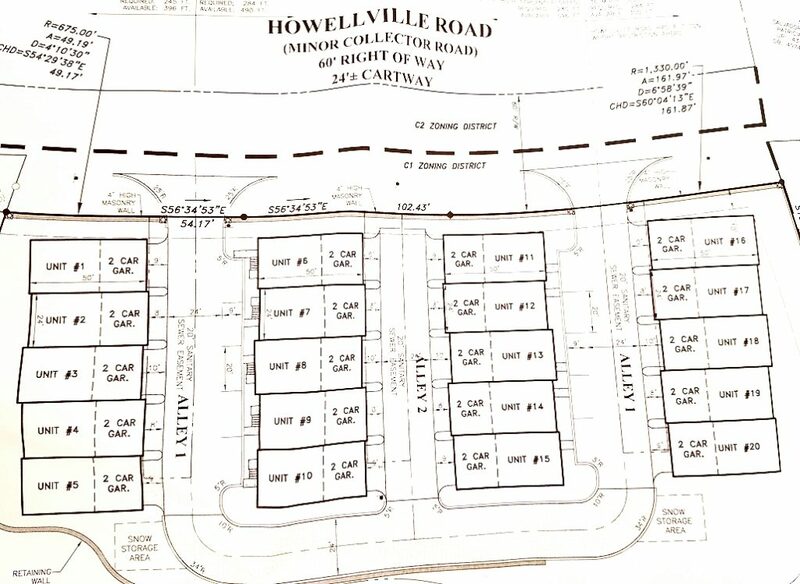 Developers have flocked to the township with their assisted living and townhouse, apartment and condominium plans. The Linden Lane Capital Partners “Station Square” redevelopment plan adjacent to the Paoli train station, which demolishes 4 existing 2-story office buildings to make way for a new 4-story apartment building, is back in front of the Planning Commissioners for preliminary/final land development approval. The proposed $40 million project includes 153 apartments and first floor office space, interior courtyard and swimming pool. The proposed Linden Lane – Station Square project has garnered much concern from neighbors, including the increase in traffic plus lighting and adequate landscaping buffering. First time in front of the Planning Commissioners is a proposed townhouse community in Mt. 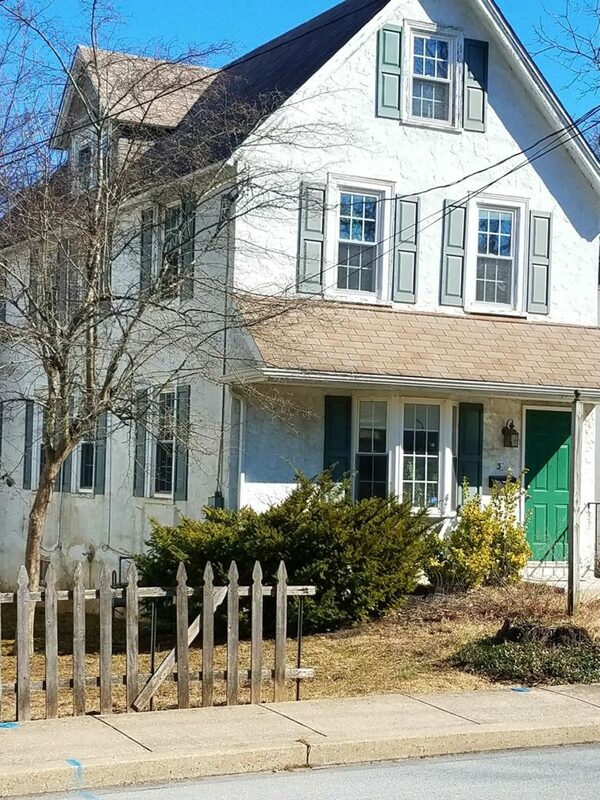 Pleasant – “959 Radnor Road, 969 Radnor Road, 979 Radnor Road”, and 959 Fairview Avenue”. The plan calls for consolidating 4 properties into 2 lots and then constructing townhouses on each lot. This is Mt. 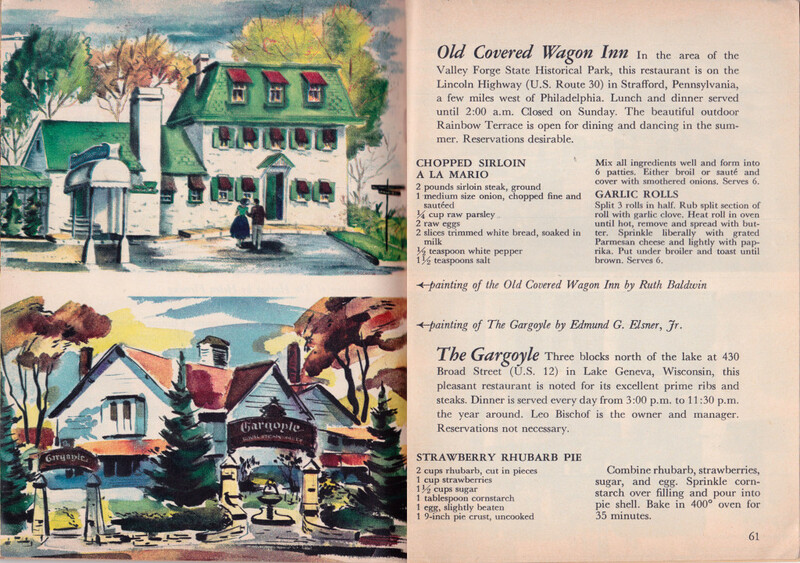 Pleasant, a community on the brink of losing its identity and place in our local history. In the last few years, absentee landlords have purchased and filled houses with college students, forcing neighbors to act as ‘dorm parents’ with late-night parties, increased traffic, etc. Residents have watched as small homes have been demolished with Mcmansions in their place and price tags that many in Mt. Pleasant cannot afford. Or, the vacant lots where developers purchased and demolished homes, only to later abandon their plans. Wanting to understand the new townhouse plan proposed for Mt. Pleasant, I walked its streets this past Saturday with resident Christine Johnson, a long-standing supporter and leading voice in her community. From a historic standpoint, at least a couple of the houses slated for demolition are from the 1920’s, which of course saddens me. 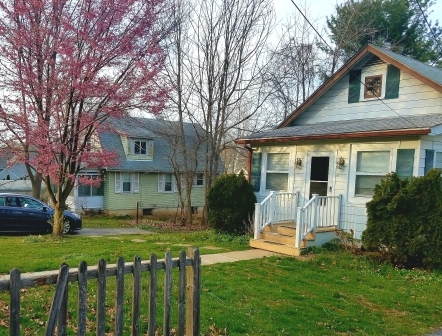 Four houses will be demolished to make way for 12 townhouses – and with price tags that most of the neighbors cannot afford. This type of high-end development continues to erode the Mt. Pleasant – a place where everyone knows your name! The bigger question for the residents of Tredyffrin Township is how many townhouses do we need (or want)? Is the destruction of our communities worth it? Returning to the Planning Commissioners is the Valley Forge Motor Court Motel development project and Nolen Properties assisted living project at the Aquilante Catering site on Cassatt Ave. The current one-story Valley Forge Motor Court Motel is squeezed in between Route 202 and West Anthony Wayne Drive. The applicant is seeking to demolish the motel and build a multi-story Sleep Inn Hotel in its place. This proposed land development project was first in front of the Planning Commissioners last June. The applicant subsequently sought and received a Special Exception from the Zoning Hearing Board authorizing “hotel” use. I attended the first presentation of the proposed hotel and I recall that there were many in the community voices with objections to the plan — concerns for lighting, traffic and the multi-story size and scope of the proposed hotel. 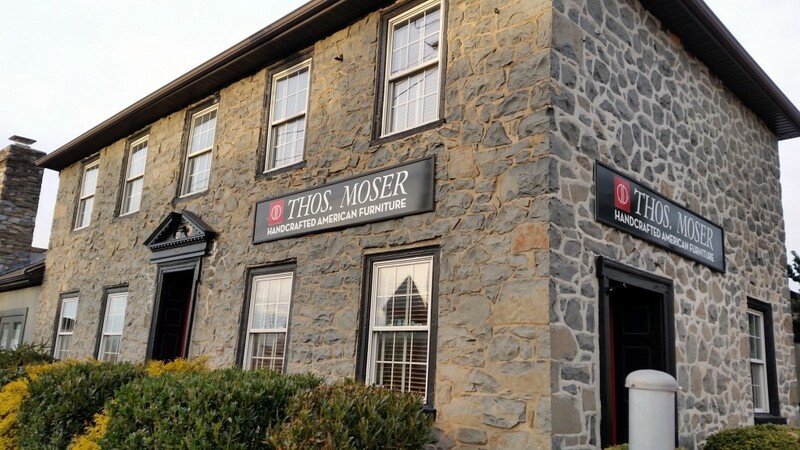 In Pennsylvania, the PA Historical and Museum Commission uses the fifty-year standard to qualify historic properties. 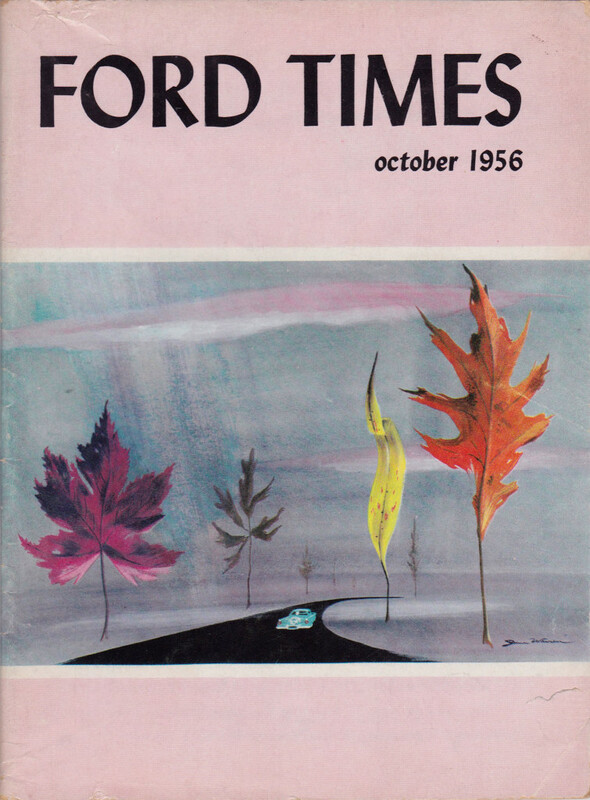 For the record, the Valley Forge Motor Court Motel qualifies as “historic” but remember, Tredyffrin Township does not have a historic preservation protection ordinance. 950 Cassatt Partners/Nolen Development Group is back with a “Petition for Zoning Ordinance Text & Map Amendment”. They are seeking to revise the O (Office) zoning district to permit “Residential Care Facilities” and to re-zone the property to the O (Office). 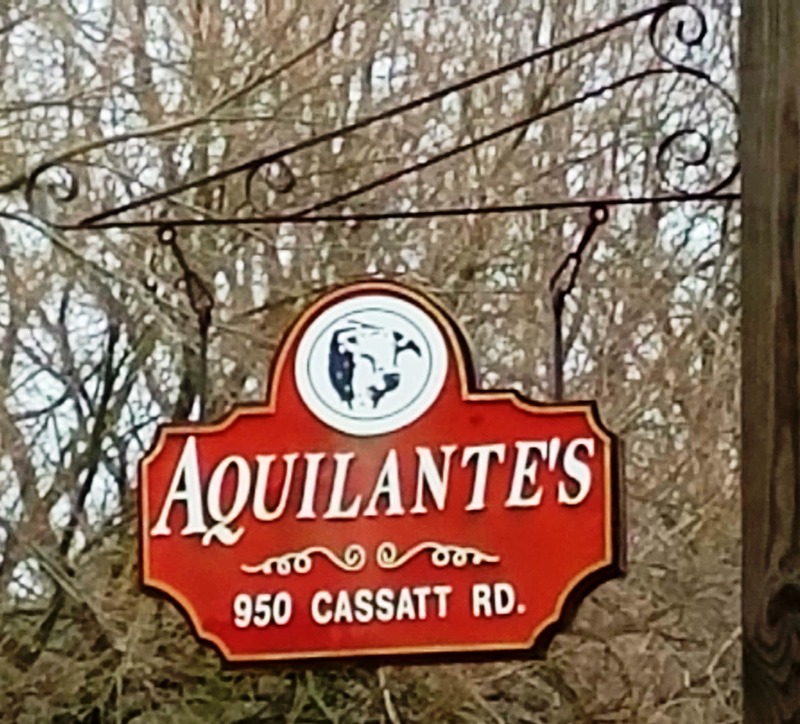 This proposed assisted living project is on the site of the Aquilantes catering business on Cassatt Road in Berwyn and requires a zoning amendment. Although the developer has scaled back his plans to 190 units, this is still twice the current allowance for the intended use. The current zoning laws allow for 10 beds per acre but the proposal is closer to 20 acres per acre. The high density housing is not compatible with the surrounding residential area. The proposed assisted living project requires the demolition of this 19th c. building. The proposed text amendments to the density and impervious surface requirements allow a greater number of units and therefore a greater number of residents on this property as compared to a currently compliant facility. The applicant hopes to gain recommendation from the Planning Commissioners to the Board of Supervisors for a zoning text amendment to create new density allowances for “transitional areas”. When is enough, enough with the assisted living and the townhouses? I really am not opposed to development — thoughtful development, not development that impacts communities, overcrowds the school district, increase traffic and destroys historic structures! Show me some redevelopment plans for the many empty office buildings and box stores and these projects would have my complete support! Hope to see many residents at the Planning Commission meeting tomorrow at 7 PM, Township Building. Your voice matters and the Planning Commissioners listen!